Whether you have already entered retirement or are just starting out on the retirement journey, having a good financial advisor by your side can be the difference between financial success and financial hardship. The question is who are the best financial advisors in North Carolina? Where can you find the best financial planning, wealth management, and asset management services in North Carolina? Where should you go if you are looking for additional services like estate planning, tax management, and risk management? What types of fees do financial planners in North Carolina charge, and which financial advisor is best for you? While the final decision rests in your hands, we have compiled a list of the top financial advisors in Greensboro, Chapel Hill, and Winston-Salem, North Carolina to help you jump-start your way to financial success. When it comes to evaluating financial advisors in Greensboro, Chapel Hill, or Winston-Salem, there are typically two types of firms to consider: fee-only and fee-based advisors. How do you know which type of firm offering wealth management in North Carolina is right for you? 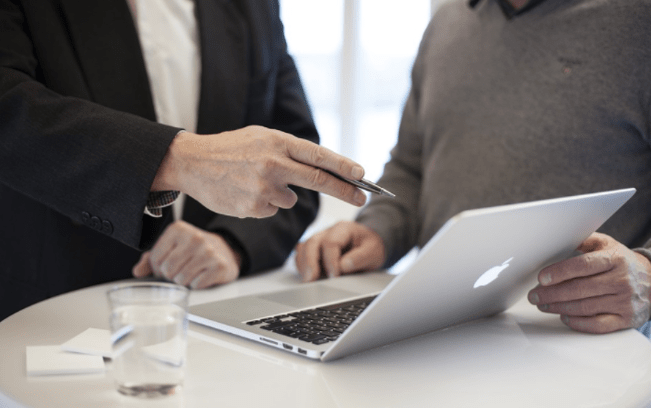 Below, we’ll provide you with a brief overview of everything you need to know about the differences between fee-based and fee-only financial advisors in North Carolina. When financial planners in North Carolina say that they are “fee-only,” this means that they do not accept commissions or third-party referral payments. In short, a fee-only financial advisor in Greensboro, Winston-Salem, or Chapel Hill is in a better position to act solely in the interest of their clients. As a fiduciary, a financial advisor in Greensboro, Winston-Salem, or Chapel Hill is legally responsible to fully disclose any conflicts of interest and are required to put the interests of their clients ahead of their own, regardless of their pricing structure. Below, please find a detailed review of each firm on our list of the best wealth management firms in Greensboro, Chapel Hill, and Winston-Salem, NC. We have highlighted some of the factors that allowed these financial advisors in North Carolina to score so high in our selection ranking. Founded in 2012, Delegate Advisors is an independent financial advisor in Chapel Hill, NC that specializes in providing multi-family office and Outsourced Chief Investment Officer (OCIO) services. As always, we recommend verifying fee structure before partnering with any financial advisor in Chapel Hill, NC. As a financial advisor in Chapel Hill, NC with a fiduciary commitment, Delegate Advisors places high value on transparency, honesty, and integrity—all key elements of any successful financial planning relationship. With an experienced team, a clearly defined investment philosophy, and a strong value proposition, Delegate Advisors is one of the best financial planners in North Carolina to consider partnering with this year. DMJ Wealth Advisors, LLC is a financial advisor in Greensboro, NC that offers comprehensive financial planning and qualified retirement plan services. It is not clear whether DMJ is a fee-based or fee-only wealth management firm in North Carolina. We advise all readers to verify a firm’s compensation structure before starting a working relationship. DMJ Wealth Advisors believes that women should have the confidence to make intelligent life decisions that are backed by financial knowledge. The firm seeks to bolster that confidence by providing educational opportunities and advisors that understand the surprises that life can throw at us, some of which include divorce, the death of a spouse, and unexpected children. Additionally, the firm hosts Women in New Friendships and New Experiences (WN2). 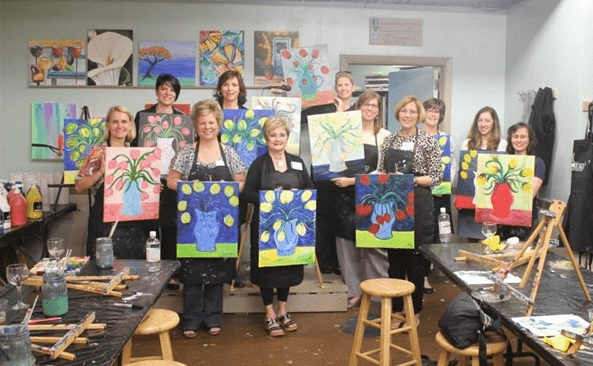 This program gives women the opportunity to join in a variety of fun activities, such as yoga and painting, with the purpose of making new connections for mentorship, encouragement, and company. DMJ Wealth Advisors offers clients an extensive range of resources to build their knowledge base. The resources fall under six basic categories: retirement, investment, estate, tax, money, and lifestyle. Retirement: Focus on the accumulation of money so that clients can attain the retirement lifestyle that they desire. 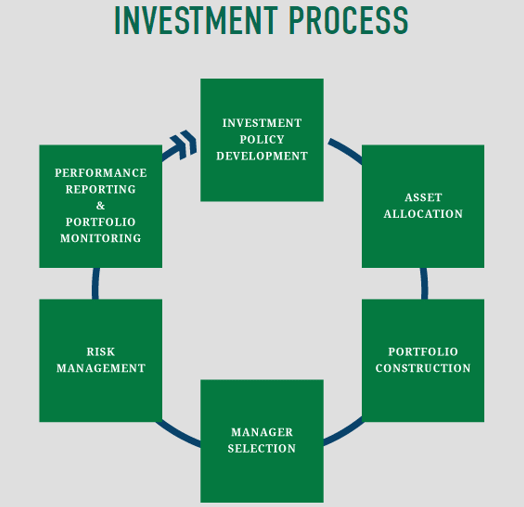 Investment: Strategies designed to fit into clients’ goals, time horizon, and risk tolerances. Estate: Helps educate to ensure that a client’s wealth is distributed equally after passing. Tax: Educate clients on the variety of ways they can improve their tax situations. Money: Helps clients discover better ways to manage their money. Lifestyle: Focus on helping clients to imagine and create a lifestyle which suits their desires and financial targets. As a top Greensboro financial planner, DMJ Wealth Advisors excels at providing clients with the resources they need to improve their long-term financial health, particularly when it comes to empowering women and their relationship with money. However, our firm could not find a statement of a fiduciary commitment, which is a crucial element of any financial planning relationship. 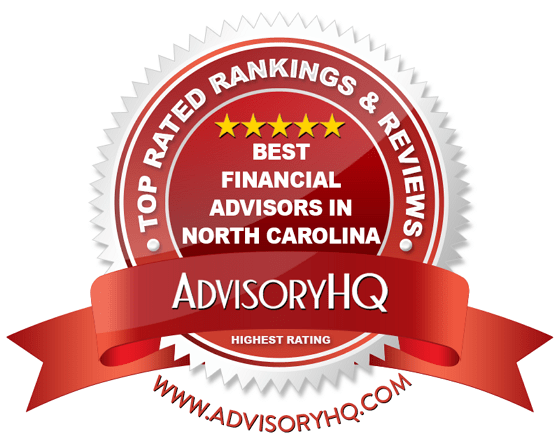 Combined with an unverifiable fee structure, DMJ Wealth Advisors ultimately earns a 3-star rating among the top financial planners in North Carolina. By adopting a fiduciary commitment and clearly stating their fee structure, EMJ Wealth Advisors could easily improve both their value proposition to new clients and their rating as a top financial advisor in Greensboro, NC. Eton Advisors is a financial advisor in Chapel Hill, NC that provides family office services and wealth management services to ultra-high-net-worth clients with a multi-generational context. 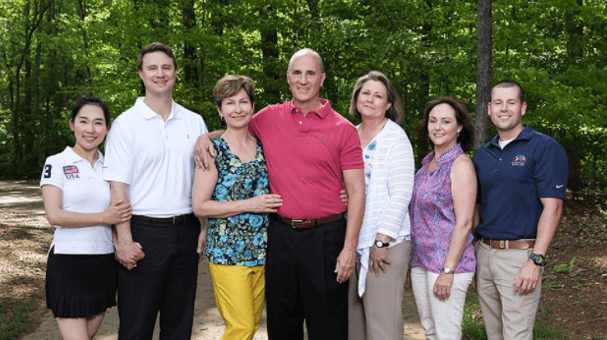 This North Carolina wealth management firm’s mission is to help families manage the complexities of their financial situations by creating integrated wealth structuring and investment consulting solutions based upon each family’s needs, desires, and constraints. We cannot verify whether this is a fee-only or fee-based wealth management firm. We advise readers to verify compensation structures before working with any financial advisor in Chapel Hill, NC. While the means may vary, a solid financial plan is a crucial element of achieving your financial goals. The North Carolina financial advisors at Eton Advisors are committed to providing clients with a holistic, integrated, and client-centric approach to wealth management. Additionally, the large team of CPAs and CFAs at Eton Advisors ensures that clients can benefit from a wide range of financial expertise, enhancing the overall investment management experience. However, our firm could not find a statement of a fiduciary commitment, which is a crucial element of any financial planning relationship. Combined with an unverifiable fee structure, Eton Advisors ultimately earns a 3-star rating among the top financial planners in North Carolina. By adopting a fiduciary commitment and clearly stating their fee structure, Eton Advisors could easily improve both their value proposition to new clients and their rating as a top financial advisor in Chapel Hill, NC. Maestro Wealth Advisors is an independent, full-service financial advisor in Winston-Salem, NC, dedicated to helping their clients achieve the most out of their retirement planning. We could not verify whether Maestro uses a fee-based or fee-only compensation structure. As always, we recommend verifying fee structure before partnering with any financial advisor in Winston-Salem, NC. Financial goals are subject to change and fluctuate over time, and for many, finding a North Carolina financial advisor that can adapt their services accordingly is a key part of long-term financial stability. To keep clients updated on their financial progress, Maestro Wealth Advisors provides access to WealthGuard™, a simple yet powerful account monitoring system. With WealthGuard™, clients can track all of their accounts from one dashboard, monitoring components like asset allocation and overall performance. Should any changes occur, clients will be notified by either email or text message, making it easy to stay up-to-date on their portfolio performance on a daily basis. As a Registered Independent Advisor with a fiduciary commitment, the North Carolina financial advisors at Maestro do not have products to sell or quotas to meet, instilling trust that all advice will be unbiased. Additionally, the firm places a strong emphasis on promoting educational resources, community events, and even radio talk shows dedicated to financial literacy. With a wide range of services and a focus on empowering clients towards financial success, Maestro Wealth Advisors is one of the top financial advisors in Winston-Salem, NC to consider partnering with this year. As one of the best options for wealth management in Greensboro, Morton Wealth Management is an independent, fee-based consulting firm that provides comprehensive financial planning, investment management, and wealth management services to high-net-worth families and individuals. We have chosen Morton Wealth Management as a top Greensboro financial planner for their independence, range of services, and client-centric commitment. Proactive Retirement® represents Morton Wealth Management’s belief that retirement planning starts with each client’s objectives, goals, and intentions. As such, the job of each Greensboro financial planner is to help clients clarify and define those goals. This focus on providing clients with a proactive, goal-oriented strategy makes Morton an attractive option for clients that want a Greensboro financial advisor to help them devise an effective retirement strategy. Clear direction and expert knowledge and skills from their Greensboro financial advisors is what propels people into smooth retirements. Whether you are looking to save for a child’s education or diversify your portfolio, the foundation for good financial health lies in effective financial planning. 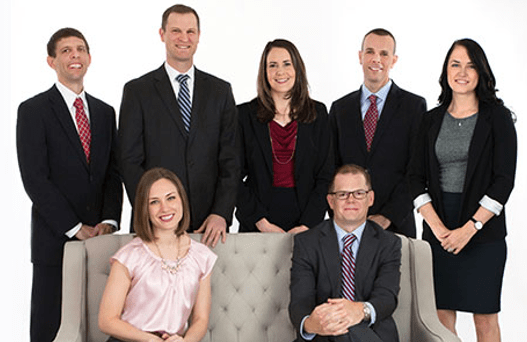 Offering expert services and a commitment to adhering to high standards of conduct, Morton Wealth Management is a top choice for wealth management in Greensboro. The firm prioritizes dedication, experience, and trust, and boasts a well-credentialed and experienced team, providing clients with a strong foundation of collective experience. With a fiduciary commitment and a wide range of services, Morton Wealth Management is one of the best financial advisors in Greensboro, NC to consider partnering with this year. Old Peak Finance offers comprehensive financial planning and wealth management as a fee-only financial advisor in Chapel Hill, NC. When you’re entrusting your money with someone, you want to know where they are coming from. It helps when a company clearly outlines their investing philosophy. Old Peak Finance’s investment method is grounded in academic research with an emphasis on personalization. This process is appealing to anyone who is looking for a North Carolina financial advisory firm that will prioritize long term stability and wealth generation as opposed to ineffective short-term gains. As a fee-only firm with a fiduciary commitment, Old Peak Finance provides clients with a strong foundation of trust and transparency, two key elements in any successful financial planning relationship. With the addition of a clear investment philosophy and a comprehensive approach to wealth management and financial planning, Old Peak Finance is one of the best Chapel Hill financial advisors to consider partnering with this year. Founded in 1979, Salem Investment Counselors is a long-standing financial advisor in Winston-Salem, NC. The firm provides portfolio management services to individuals, corporations, retirement and profit sharing plans, charitable institutions, foundations, and trusts. As always, we recommend verifying fee structure before partnering with any financial advisor in Winston-Salem, NC. Clients of Salem Investment Counselors can benefit from a large team of diverse backgrounds and skillsets, including banking, law, accounting, taxation, investment analysis, real estate, and venture capital. With a wide range of professional backgrounds and many advisors holding multiple certifications, clients can trust that their financial health is in expert hands with Salem Investment Counselors. For fixed-income investing, the firm maintains an approach that minimizes risk, only considering high-quality issues that fall within the short-term to immediate-term maturity range. For clients that are looking for a well-established firm with a strong team of investment professionals, Salem Investment Counselors is a great fit. With a fiduciary commitment, a wide pool of industry experience, a highly credentialed staff, and additional financial planning and management services, Salem Investment Counselors is one of the best financial advisors in Winston-Salem, NC to consider partnering with this year. Stearns Financial Group (SFG) is a fee-only financial advisor in Greensboro and Chapel Hill. Their North Carolina financial advisors implement a proactive approach on behalf of their clients to help them navigate the turbulent investment markets of today. Women often have unique financial needs due to elements like longer lifespans, prolonged careers, and taking time away from the workforce to build a family. Financial planning helps you make sure you have money prepared for the expected like retirement, travelling, and funding your children’s educations. But sometimes, you need expert advice when things take a sharp turn in an unexpected direction. A financial advisor in North Carolina can help look at your finances with a discerning eye and determine what can be adjusted to get you back on your feet. Are my investments set up right? Do I need long-term insurance? Will my estate plan actually work? Is aging in a retirement community better for me? These questions can easily become a source of stress and anxiety, but discussing them with one of the North Carolina financial planners at SFG can help you create an efficient, stress-free financial plan. As a fee-only Greensboro and Chapel Hill financial advisor, Stearns Financial Group provides clients with a solid foundation of trust and transparency, two key elements of any successful wealth management relationship. Their focus on providing expert guidance through life events and unique client segments sets the firm apart from competing North Carolina financial advisors, particularly when it comes to financial strategies for women. With a highly qualified team, a wide range of financial services, and a strong foundation of transparency, SFG is one of the best financial advisors in Chapel Hill, NC and Greensboro, NC. As one of the top financial advisors in Greensboro, NC, Triad Financial Advisors has been offering its services for more than 30 years. The team of Greensboro financial advisors at Triad includes experienced and trusted professionals who have helped a variety of people with their financial issues under the philosophy of long-term planning. Triad Financial Advisors is an independent, fee-only firm offering wealth management in North Carolina. This is a particularly appealing feature for prospective clients worried about advisors who may not have their best interests in mind. Often, but not always, conflicts of interest are caused by a portion of the financial advisor’s compensation deriving from sales or the sale of a particular product. Fee-only financial advisors charge a fixed fee for their services. Their success and future business is based on their client’s success. Triad Financial Advisors’ fee-only model can bring peace of mind to customers who want to know that their advisor is managing their money with the client’s future in mind—not their personal bottom line. As a fee-only firm with a fiduciary commitment, Triad Financial Advisors provides clients with the peace of mind that their financial health will always be handled with transparency, instilling trust within the client-advisor relationship. Triad Financial Advisors also takes a personalized approach to financial health, ensuring that clients receive a uniquely tailored plan and facilitating a sense of teamwork throughout the wealth management process. With a fee-only structure and a strong foundation of client-centric values, Triad Financial Advisors is one of the best financial advisors in Greensboro, NC to partner with this year. Woodward Financial Advisors is a fee-only, independent financial advisory firm located in Chapel Hill, North Carolina. As a top Chapel Hill financial advisor, Woodward places a strong emphasis on personal service, teamwork, independence, and maintaining continuing education through industry certifications and credentials. Woodward believes that by taking a proactive role, clients can better control their financial futures. Comprehensive planning is an essential aspect to this proactive approach and is a key facet of this North Carolina financial advisor’s services. During the planning process, this team of Chapel Hill financial advisors assess all aspects of a client’s financial situation, including income, expenses, debt, insurance, taxes, retirement savings, estate planning, and investments. 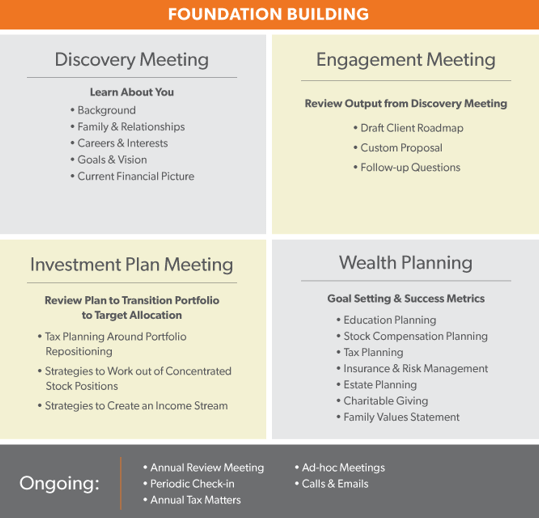 By taking the time to understand each individual client, this wealth management firm is able to create specific, coordinated approaches to helping clients craft their plans. This comprehensive approach also puts the firm in the best position to provide spot-on recommendations for issues such as tax planning and cash flow. As a top Chapel Hill financial advisor, Woodward Financial Advisors works as a team to help clients achieve their goals and dreams, resolve questions and concerns, and clarify priorities. This comprehensive view, the professional credentials of the firm’s team, and its fee-only status make Woodward Financial Advisors an attractive choice when it comes to financial advisors in Greensboro, NC and the surrounding areas. 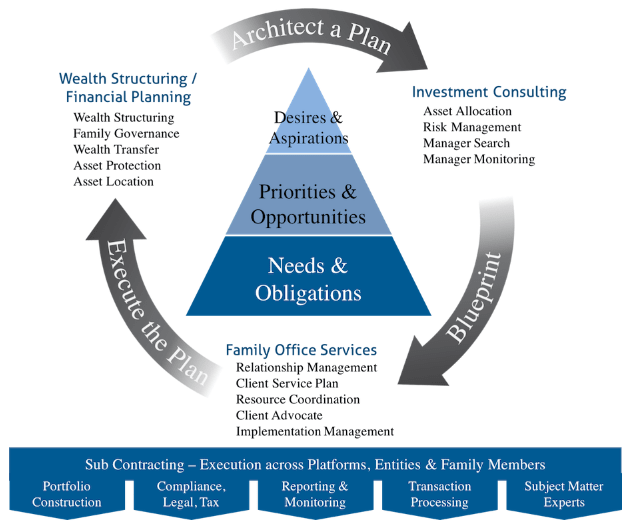 Where can I find the best financial planning, wealth management, and asset management services in North Carolina? Where should I go if I am looking for additional services like estate planning, tax management, and risk management? What types of fees do financial planners in North Carolina charge, and which financial advisor is best for me? Of course, the answers will depend on your individual goals, needs, and desires. As you’ve seen from this review, top firms have processes in place that can address the unique financial circumstances of different individuals. The next step to take is to choose three to five firms from the list that seem to best suit your needs and set up appointments to meet the advisors. Afterward, you will have all the information you need to make an informed decision and move one step closer toward achieving your financial dreams.